Azikiwe Mohammed, Prodigy, 2017, digital illustration. MY FAMILY IS VERY SMALL, which makes the holidays a difficult affair. When one portion of our family is having a tough time, there aren’t many options for recourse. We almost always go to grandma’s house. She lives in Westbury, Long Island, and at the time my two cousins and aunt all lived on Long Island as well. We sold my grandmother’s house last year. We don’t do Christmas Eve / morning, as there aren’t any children in the family, and our gift exchange has a five-dollar limit. None of the festivities take much time, so Christmas night usually finds me back in the city by 10 PM, at home or at a bar. My fellow LIRR riders are either carrying presents or doubling up as part of a couple contingent en route to the other half’s family. The MTA is even quieter, as most city dwellers are already at their destination with the people that matter most. After stopping at a bar near Thirty-Fourth Street I was on the train home by 11 or so. There was only one other person in my car, and the rest of the train that had pulled up ahead was empty. We acknowledged each other but understood the time, the day it was, and who was out at this hour, so there wasn’t much to say. A few stops later a person wearing an all-white unbranded sweat suit, a matching white beanie, and Timbs got onto our portion of the train. This new train friend had giant rectangles in his pockets that were the exact shape of money. I quickly tried to guestimate how much money was split between these twin pocketed shapes, and what the sum was divided among different denominations. Upon looking at the other passenger I could see he was doing the same. While staring at my fellow witness I saw something else in his face that had crossed my mind but that I had blamed on the one drink I had. I knew our white-clothed money-holding friend. 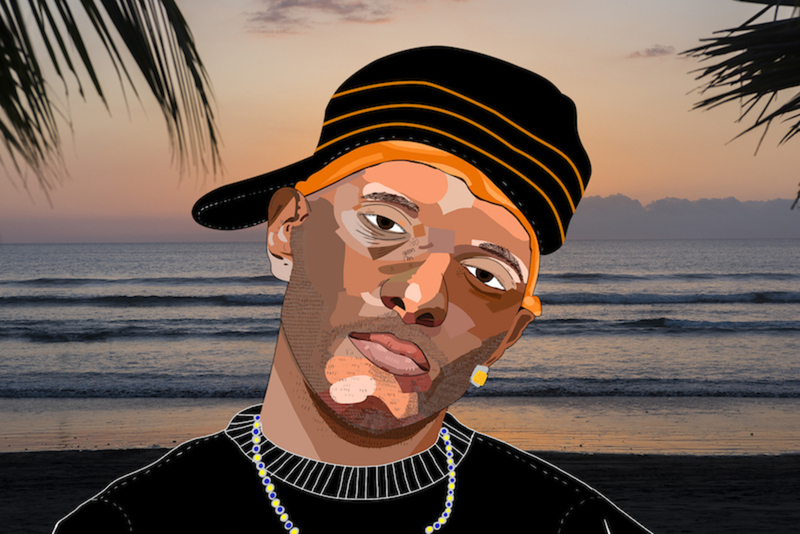 It was Prodigy from Mobb Deep. Having grown up in New York during the ’90s there was no mistaking this man. I was just having a hard time believing it. I owned all the Mobb Deep albums, P’s solo work, had even rebought the physical records when I outgrew my CDs and bumped Infamous Mobb in between my Heltah Skeltah and Cannibal Ox. I adopted the “dunn” language due to a story I heard that P came up with the word dunn because he had a slur, and while trying to say “son” said “dunn,” and it stuck. So he kept it. I had / have a slur that I still struggle with. As quickly as I could race thru these thoughts, get the attention of my P-spotting accomplice, and figure out how to wish Prodigy a Merry Christmas, P had assessed the situation and got off the train. The next time I would see Prodigy was in the same neighborhood but at a distance that made everyone feel more comfortable. I was at B.B. Kings. It was just P and Havoc. It rained all night. 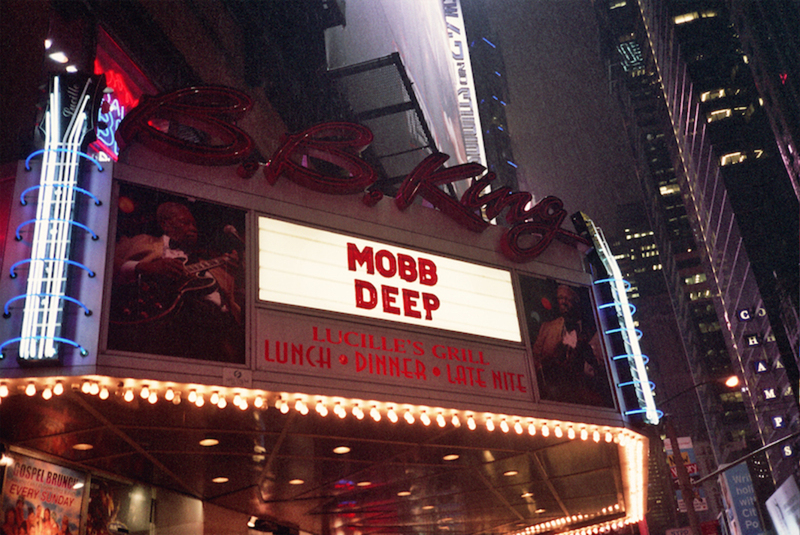 Mobb Deep Show at B.B. Kings, 2011. Photo: Azikiwe Mohammed. Azikiwe Mohammed is an artist living in NYC.